It never ceases to amaze me on how fast life changes and moves all around me. People are in your life and then go separate ways, a career can change in an instant, and what was once unknown has now become a reality. In my own life it feels like I’m moving towards one direction with everything I’ve got, yet now has been shifted dramatically. This seems to be the story everyone has faced since the beginning of time, it’s what life is filled with. Many times these changes and shifts in our path are for the better, and sometimes they are things we wish we never would have to face. In both situations, we have fear that influences us about how we react and what decisions we make. It would be much simpler if we had the ability to delete the hard and always accept the good things, but unfortunately it doesn’t work like that. Weather you and I like it, we have been placed in front of a decision. We can either let the fear of the hardship or possible failure control us or we can finish the fight. It sounds daunting, and to be honest, it is daunting. Unless you are someone who knows what to do when the unexpected hits you or changes your direction, it is intimidating. The thing is, is that we don’t have to be blind, meaning that while the answers and secrets to life may not always be spelled out for us, we do have a guide to how we approach this fight. This fight is simply the opposition that tries to stop us from moving forward and growing into the people that God designed us to be. So this fight, is something that we may face daily, or it may be an event or drastic life change that tries to hold us back from becoming who we are meant to be. These are a few things that I have learned and have clung to during moments in life that try to stop me, from the hardship and the sucker punches that happen all the time. The first thing we need to know when life throws trials at us is that running away accomplishes nothing. Our problems will only catch up with us, kind of like a kid hiding from their parent after breaking something, it will always catch up. Once it does, the problem only becomes that much bigger! The book of James describes how we should first react when we first run into the struggle. James 1:2-4 says, “Consider it pure joy, my brothers and sisters, whenever you face trials of many kinds, because you know that the testing of your faith produces perseverance. Let perseverance finish its work so that you may be mature and complete, not lacking anything.” Instead of running away, we must address it head on, and know that through this trial, good will come. It will never be easy, but when we look at our problems and struggles from the perspective that perseverance will bring wisdom, we can take on anything. Peace will come when we endure. Once we choose to face the issue, we undertake the hard part. Maybe this means having a tough conversation with someone, it may mean having to distance yourself from a group or situation, or it may be something we cannot tangibly address. Dealing with loss, watching someone close to you while they hurt, or the feeling that what you once thought was your purpose, now has shifted. We don’t know how we can continue, but we are given the power to overcome all struggle and all trials that we face, big or small. As we endure the hardship and trust God during the things we cannot control, we become unstoppable. We step into the true design that we were created to do. James 1 continues with verse twelve that says, “Blessed is the one who perseveres under trial because, having stood the test, that person will receive the crown of life that the Lord has promised to those who love him.” As we place trust in the creator of all things, we are able to make it through the other side of the fight with blessings that will stay with us for the rest of time. We can endure, because God is bigger than our struggles. When we face our struggles and relying on the strength that comes from the Lord, we receive a peace unlike anything else. No matter what happens, approach it with love. This may be the most difficult aspect to wrap my own head around, how can I not let fear or anger control my actions when life gets difficult. So often in my times of hurting and fearing the unknown, I want to lash out at some of the smallest things. I feel like the Hulk ready to rage and go destroy anything in my path, but we can’t do that. I can’t do that. We would only cause more hurt towards those around us that may actually care about you deeply. Romans 12:17-19 says, “Do not repay anyone evil for evil. Be careful to do what is right in the eyes of everyone. If it is possible, as far as it depends on you, live at peace with everyone. Do not take revenge, my dear friends, but leave room for God’s wrath, for it is written: ‘It is mine to avenge; I will repay,’ says the Lord.” And then ends with verse 21, “Do not be overcome by evil, but overcome evil with good.” The biggest weapon in our arsenal is love, an action that diffuses the rage we feel we deserve to access. So in every situation, and every fight you end up in, choose love and you will be victorious. I think we all are facing challenges and struggles. We have dreams and visions for our futures, we want life to be simple. Yet we are in the midst of a chaotic world, some want to hide, some once had a desire to be more, and some have become tired of fighting. Many of us have a warrior spirit within us, I know I do, but it becomes hard when we keep having to fight and carry on. Often times what I forget is that I am not alone, Christ is with me, I just have to put trust in him. When I rely on my own strength I will fall, but when I abide in him, I become invincible. 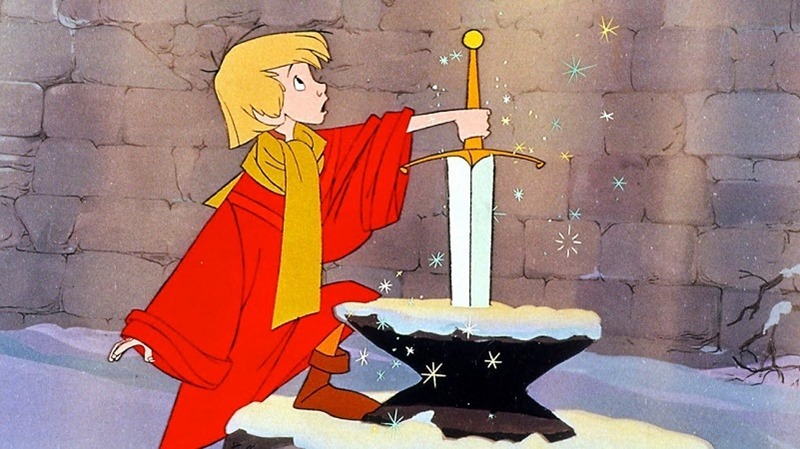 It’s like the movie, The Sword in the Stone, a boy who everyone sees as weak and is treated like an outcast, is able to take the sword because he is worthy. He takes his place, one he was destined to be in. You are like Arthur, you are worthy. I am worthy. We just have to have the courage to take hold of the sword and receive the power that it gives. So in you struggle and trials that you may be going through, take hold of the only thing that can give you true strength. Trust in Christ and you will be able to finish the fight.